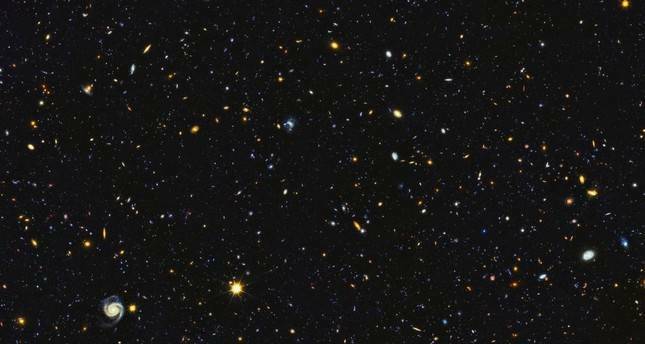 The Hubble Space Telescope has captured one of the largest panoramic views of the universe ever, U.S. space agency NASA announced on Thursday. The scene of the "fire and fury of star birth in the distant universe" boasts some "15,000 galaxies, about 12,000 of which are forming stars," NASA tweeted. The view captured by Hubble's ultraviolet vision tracks "the birth of stars over the last 11 billion years back," said NASA's website. "Ultraviolet light has been the missing piece to the cosmic puzzle," it said, adding that today scientists can see one of the most comprehensive portraits of the universe ever, combining infrared and visible-light data captured from the Hubble and other space telescopes. The Hubble Telescope, developed jointly by NASA, the European Space Agency, and the Space Telescope Science Institute, has been making space observations in world orbit since 1990.